I’m slightly ashamed to admit that this is the first of two Indigo haul posts to come. What can I say: Indigo bookstore is my kryptonite. Plus, they carry Kate Spade items, which is just unfair, really. So anyway, here are a few things I bought recently to keep me organized, motivated, and stylish while I work from home. As soon as I saw these Ashley Brooke Designs mugs, I knew I had to have them. 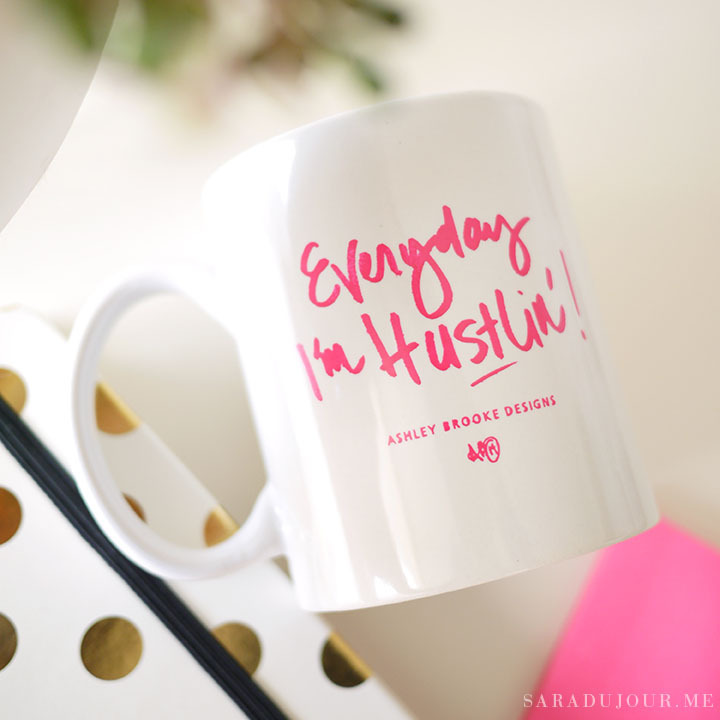 Honestly, I wanted one of each quote, but after much deliberation, I settled on the Everyday I’m Hustlin’ pink mug, because it’s a good reminder to keep on truckin’ and chasing your dreams, even when they get tricky. I also love the I Woke Up Like This, You Can’t Sit With Us, and Too Legit To Quit Ashley Brooke coffee mug designs. 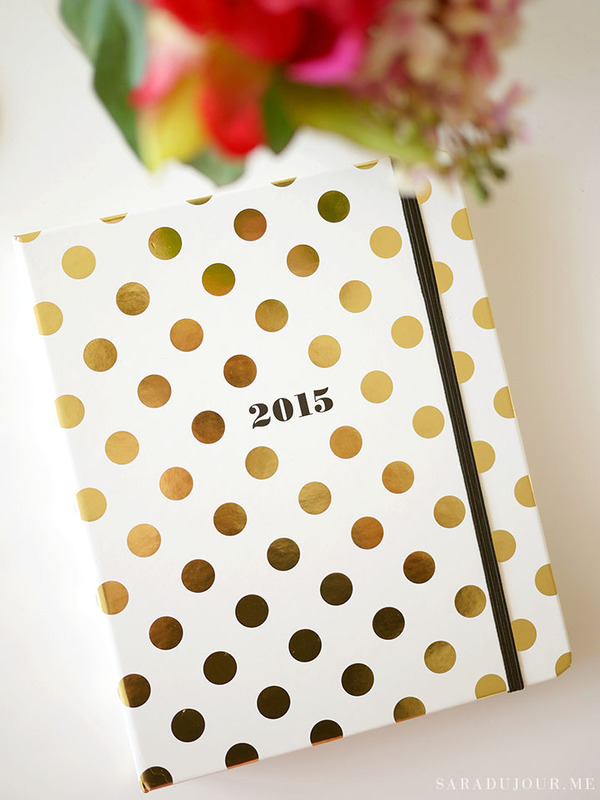 The second thing I bought from Indigo is this Kate Spade 2015 large gold dot agenda. 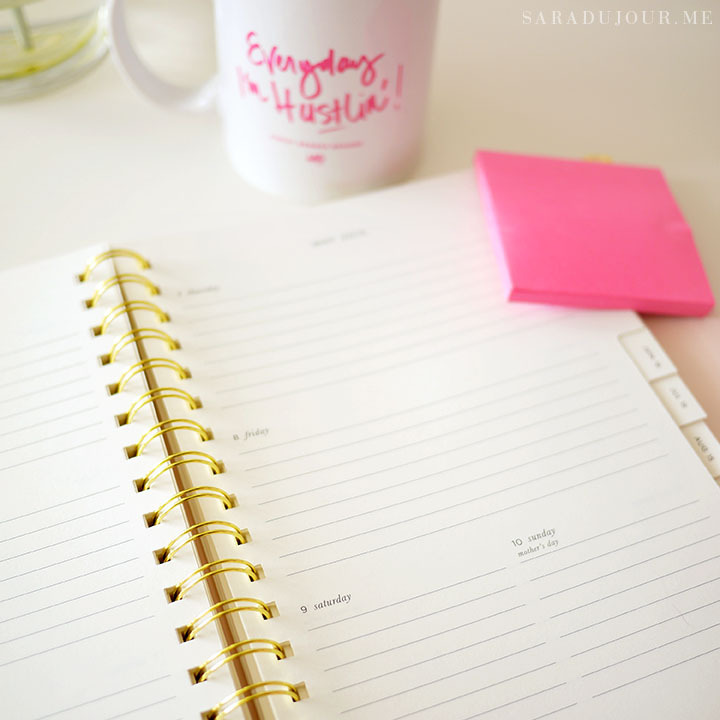 It’s perfect to help me keep track of meetings, to-do lists, and deadlines for freelance work I’m doing. I think I’ll start using it to jot down blog post ideas too, and plan out when to post them. 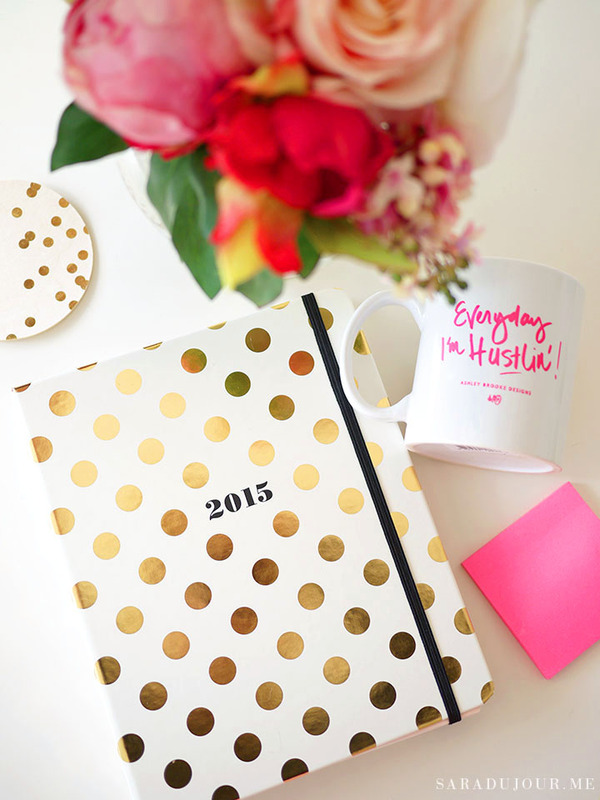 It’s a cleverly designed planner. 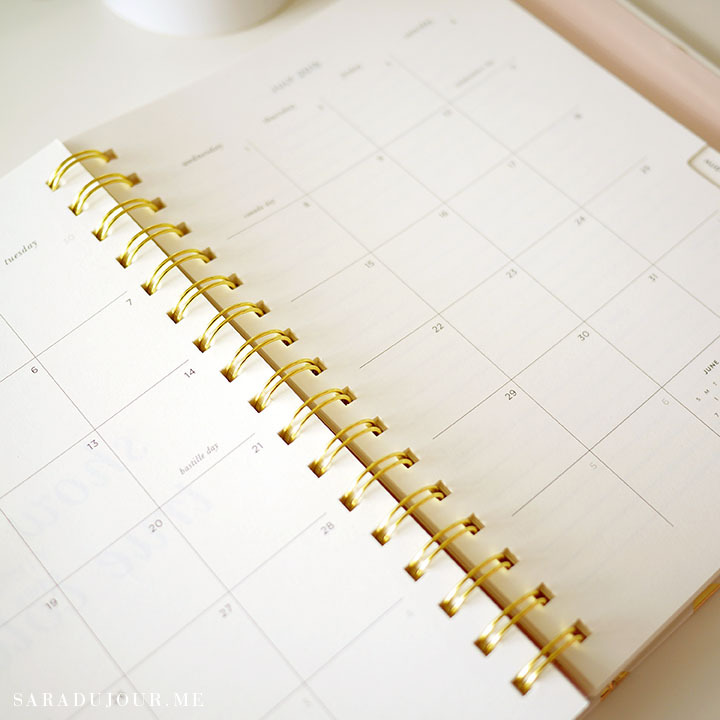 There are tabs separating each month for easy access, monthly calendars, and plenty of space to write down notes under each day in the weekly breakdown. At the start of each new month is a fun little inspirational quote. Right now I keep it on my bedside table, because I do most of my at-home work right from my bed, whether it be freelance projects or working on blog posts. There’s just no office cozier! It’s nice to have the planner within reach whenever I have something to write down before I forget it. I love everything! 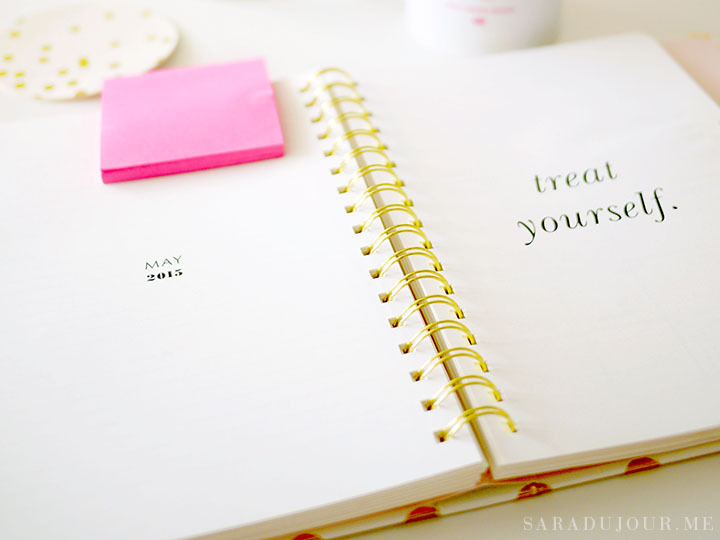 I wanted to have a planner like that but I don’t know if we have those here. They will also ship to your closest location – free of charge. Happy Shopping! Love that mug! And thanks for posting the inside of the Kate Spade planner. I’d seen the cover and dividers posted everywhere but didn’t want to order without knowing what the weekly pages looked like. 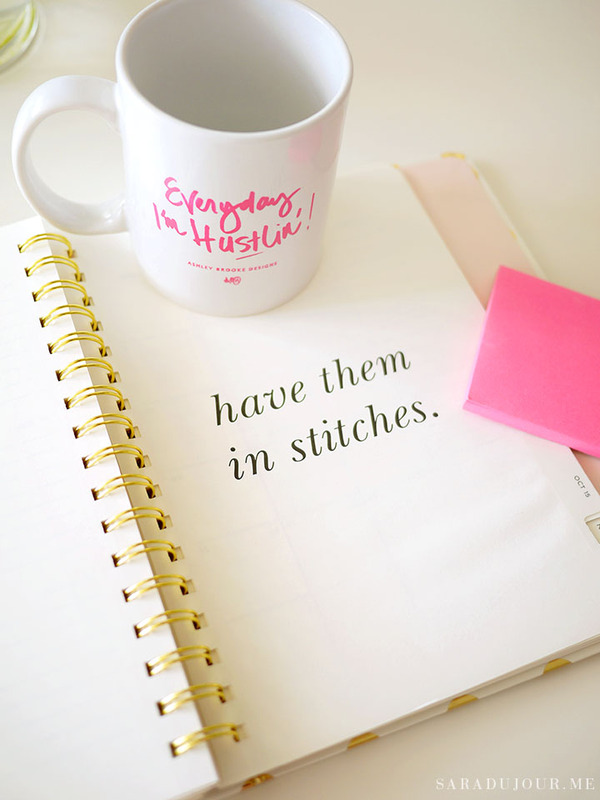 I love that planner. I was thisclose to getting one for myself, but ultimately went with something else that I would be able to add and remove pages.